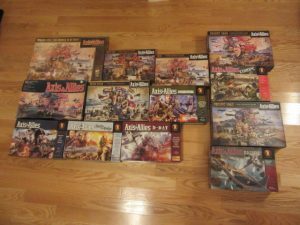 How do you strategize for Axis & Allies? My best 10 ways. 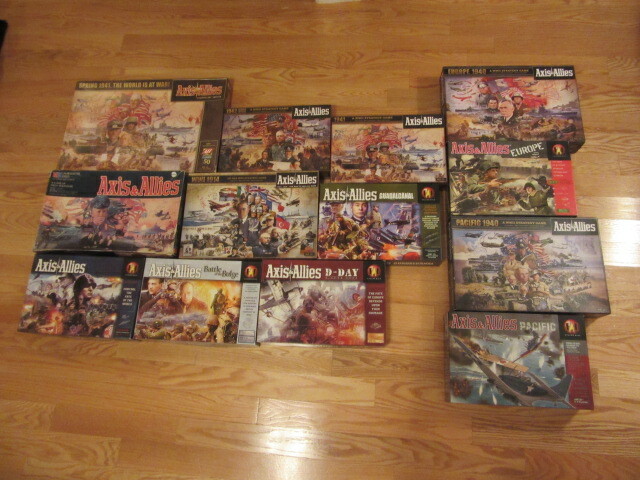 The Axis & Allies board game is just a board game, that’s it, or is it? One player vs another, 3 vs 2, Girls vs Boys..you get the picture! Being a regular gamer of Axis & Allies, you know it ain’t going to be a walk in the park because your opponent will always pull out something you haven’t seen before, so what do you do, you need that window to strategies. So here is a list of helpful ways to communicate I have thought of to speed things up! 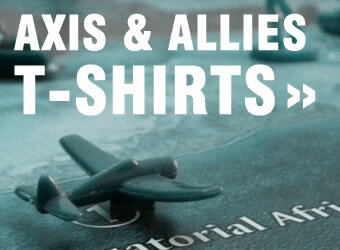 Our Axisallies.com Clothing Store is just three years old and it is getting pretty wild with new designs being created from our clothing department. T Shirts are big items along with Beer Mugs, Kitchen Aprons and iPhone covers. Our group have designed our very own Axis and Allies table big enough to play the largest game, Axis & Allies Global 1940. It is made with wood, and supplies are from our local home hardware store. It works well, and we are able to play out our G40 game right through to the very end.